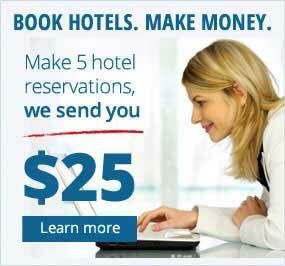 The only time we will ask you to enter personal or credit card information is when you make a hotel reservation. 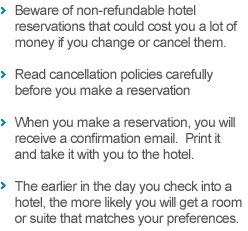 The transfer of your reservation information to hotels through the Internet is protected by Norton encryption. Encrypted transfers are for all practical purposes unreadable until they reach their intended recipients. You can tell that our reservation pages are secure because their web address begin with https rather than http. Also, we do not record or store your credit card information. We simply forward it to the hotel where you want to stay. If you have any questions about HotelGuides security, please write us at service@hotelguides.com. We appreciate your business and welcome your questions, comments, and suggestions.